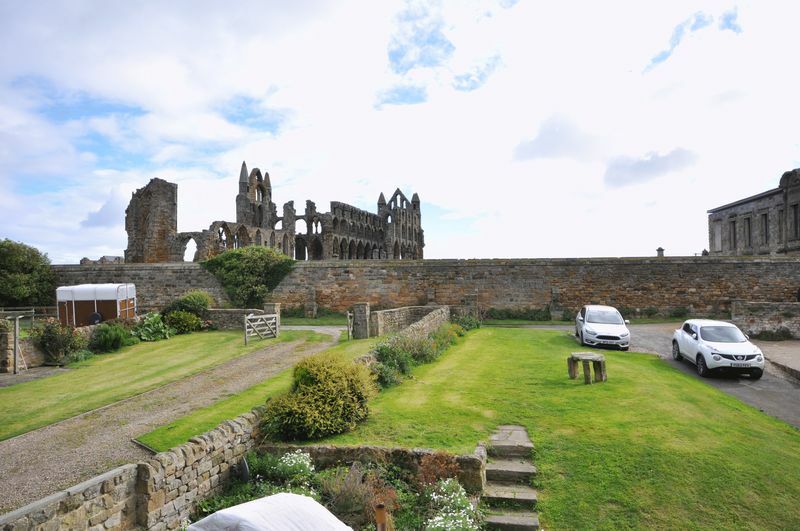 Fascinating period property located on the East Cliff near the Whitby Abbey & 199 Steps. 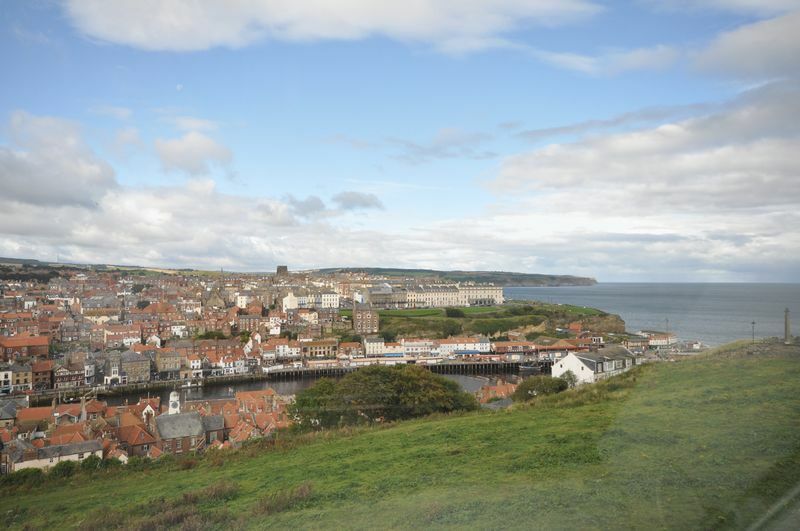 This impressive listed building sits on the Abbey Headland and therefore has incredible views over the harbour, town and out to sea. 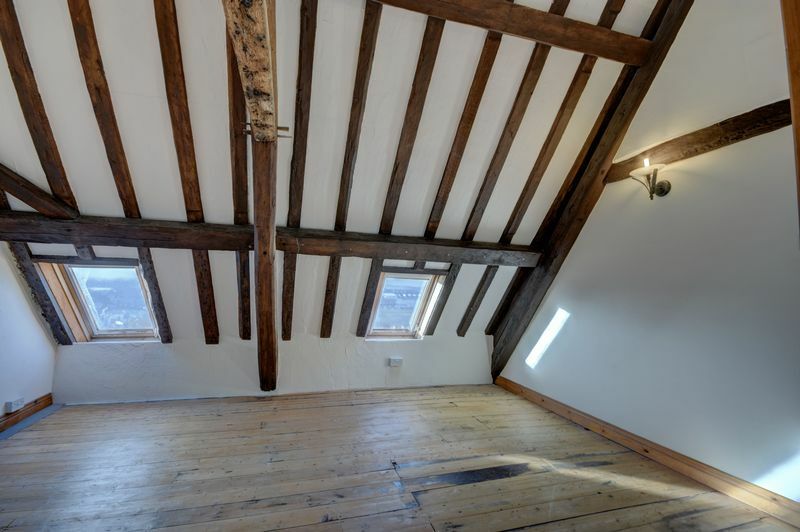 The property boasts lovely original features including exposed brick walls and wooden ceiling beams but it has been upgraded by the Landlord in recent times with modern fixtures and fittings. 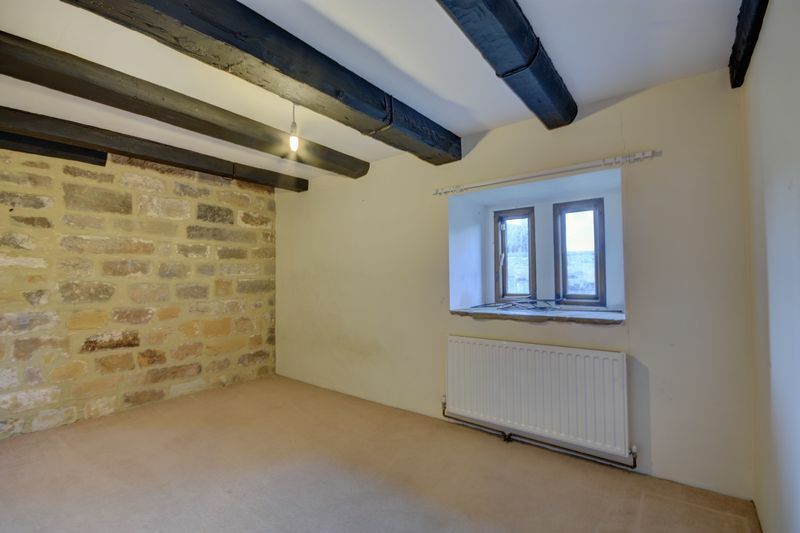 When briefly described, the ground floor of the property comprises of kitchen/diner and a large living room. 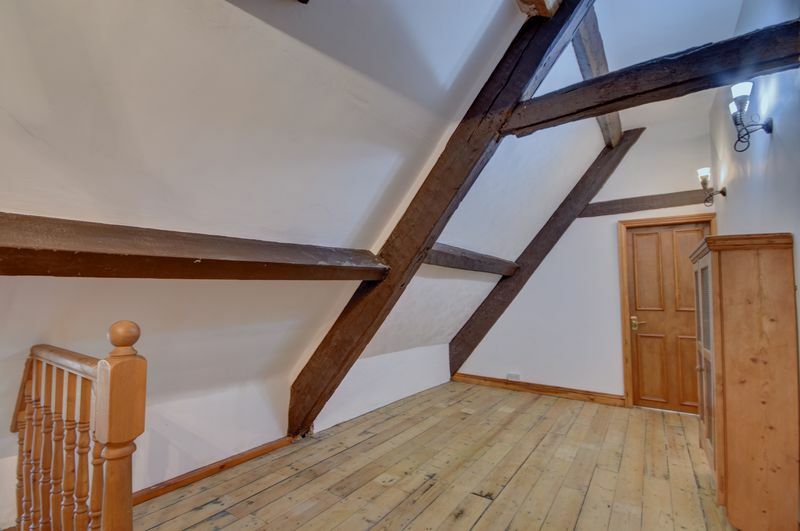 On the second floor there is a study, a double bedroom and an impressive master bedroom of which leads into an en-suite. 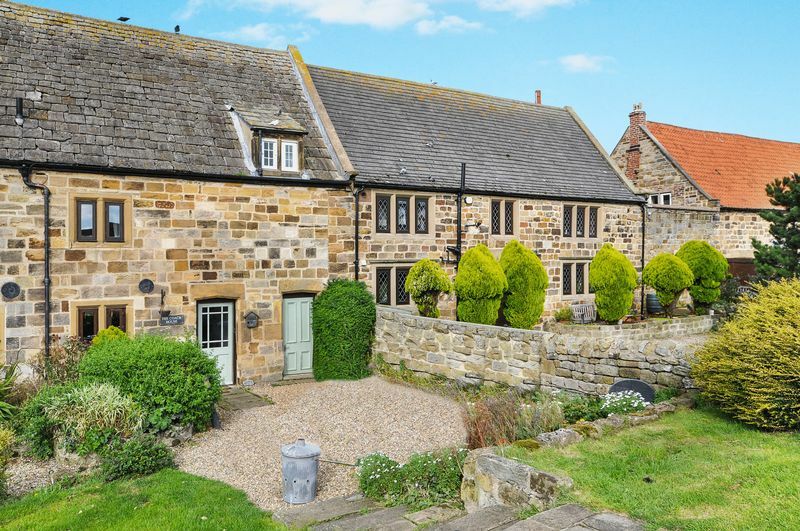 The outside of the property there is a parking area for up to 3 vehicles, a gravel and lawned garden area but it most be noted that English Heritage prohibit the planting of trees, shrubs and the erection of garden fencing. 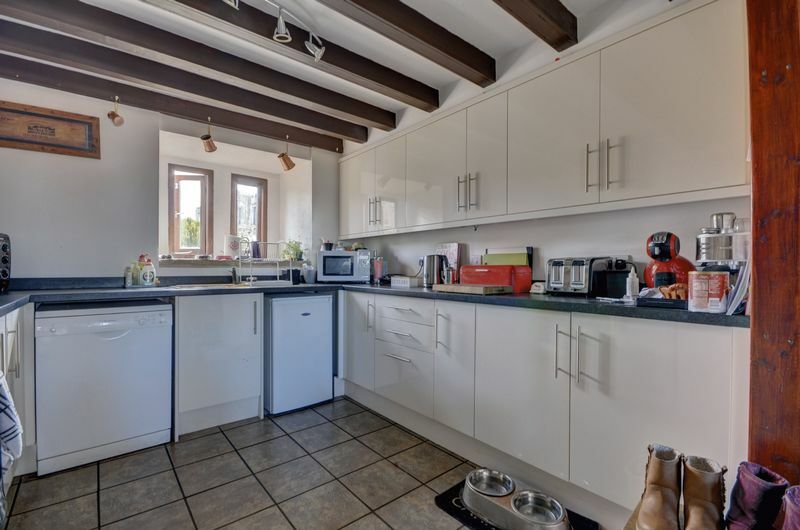 White gloss units, integral electric over, gas hob and extractor above, space for a fridge/ freezer. 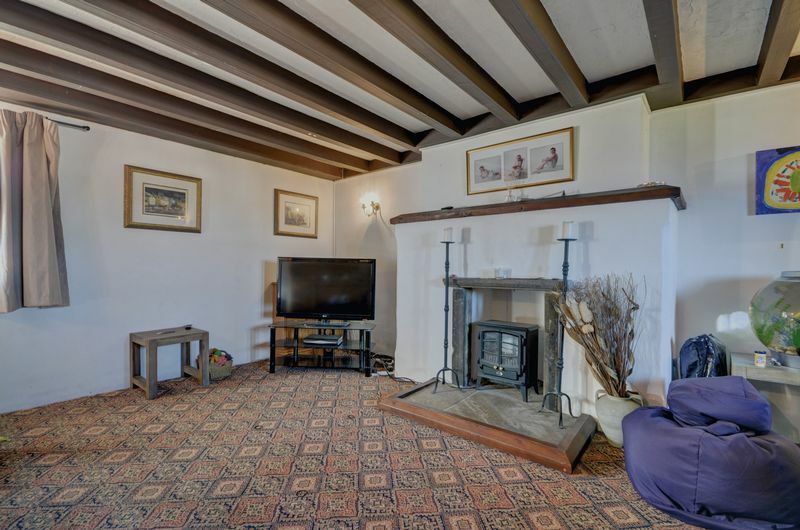 With ceiling beams and a feature fireplace providing space for an electric fire. 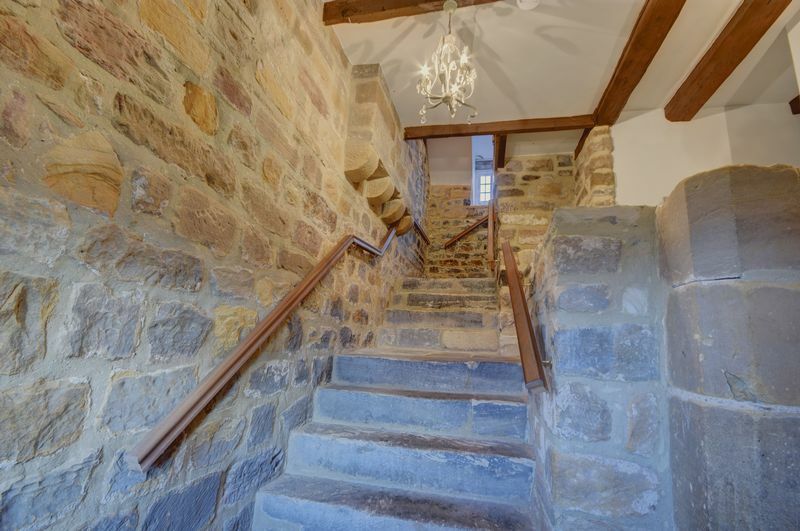 Exposed stone walls and stairs with cream carpet on the landing. 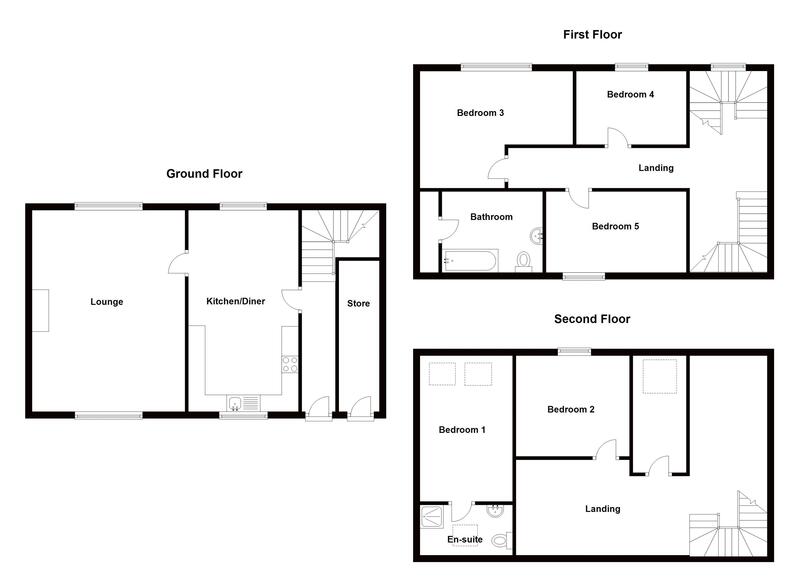 White suite comprising of a bath with shower and glass screen, hand basin, wc, extractor fan and a radiator. Cupboard with plumbing for washing machine and 'Vokera' boiler.here. 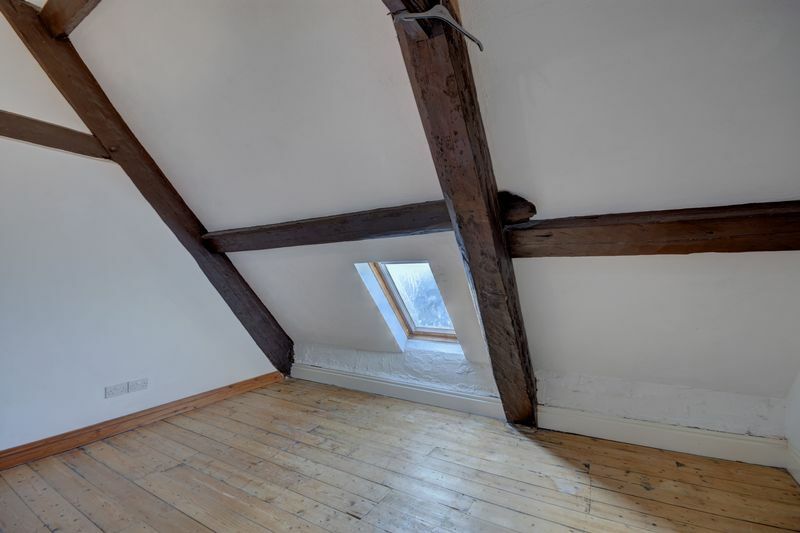 Beamed ceiling and wood floor with views looking to the West side of town and out to sea. 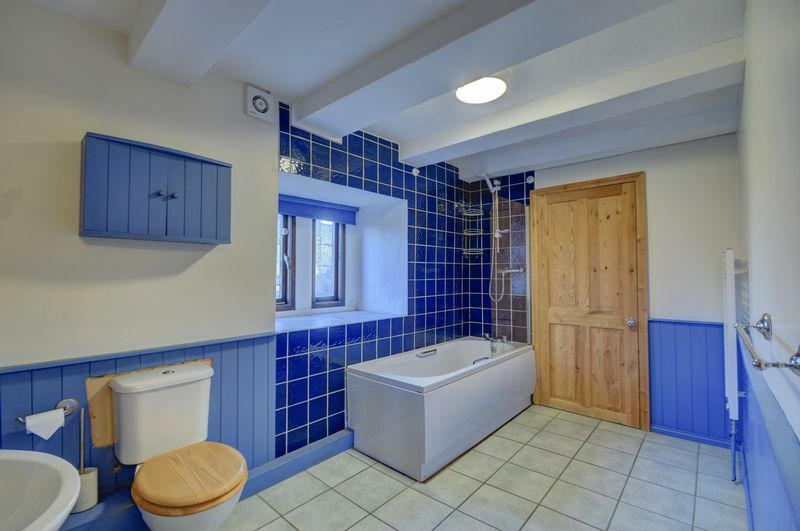 with beamed ceiling, wooden floors and views out to sea, and ensuite. 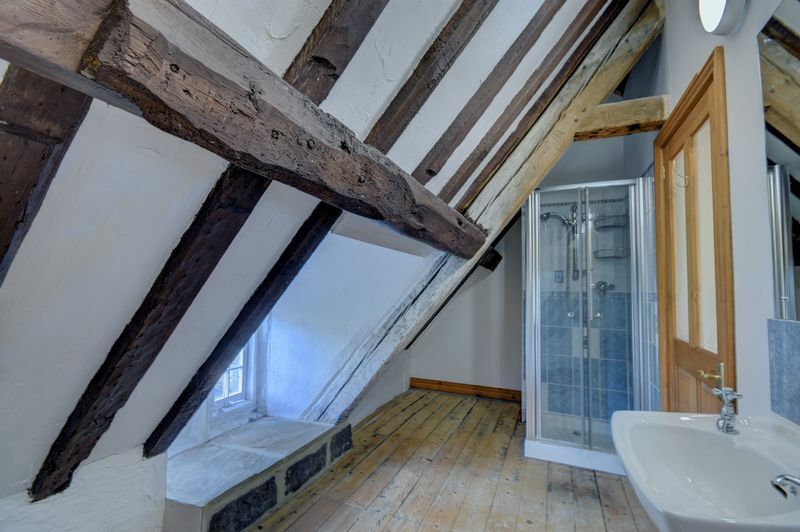 With a white suite with shower and glass screen, hand basin, wc, extractor fan and heated towel rail.